It’s been a while since I utilized my website, and as I was typing this FB update up, I realized, dang…this is LONG! So here we are. Sculpting news ahoy! 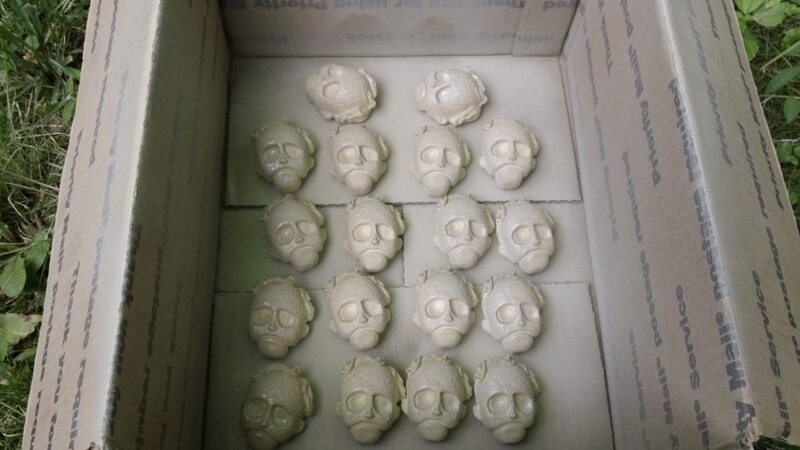 Yesterday I finished casting all of the Leslie Vernon Magnet heads, and today was dedicated to “machine work” (namely, sanding the backs) and priming them. Also, a good question came up a week or two ago, and that is, will I differentiate between “runs?” This question was asked because thus far, all of my magnet head horror figures are open editions, meaning that even though the “first run” may only be 10-20 magnets, I still have the mold and will make more in the future. Being a fan of limited editions and variants, I definitely want to make my products collectible, and in that vein, I have the limited blood variants (usually 1 in 5) that ship randomly. But I WILL also make the first runs of my magnets different. For now, that means the first runs will be signed and dated, and future runs will not. But I will also start utilizing a number system, simply adding a “1” to the backs of first runs, “2” for second runs, and so on. In addition, many of my future products and figures (things other than magnets) will be limited edition, making only a single run, and then destroying the mold. I will also continue to make some originals (only 1 in existence) available, such as my first creature, Gulch. In other news, I’m still working on that secret project, which just got INFINITELY more exciting. I can’t say much about this other than I am partnering with another website to create them, they will be limited editions, and they will also have a small run of orderable color variants. There is more to this, but I’m keeping it under wraps for now. You’ll have to wait until October for this one! Finally, I’m moving forward with the Replica Trick ‘r Treat Lollipops and should have preorders for that up within a couple weeks. 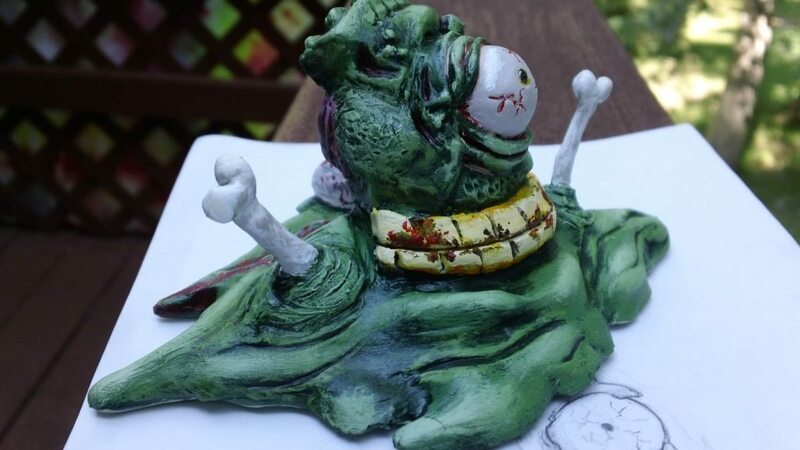 I hope everyone has been enjoying my new lines of horror sculpts! Sound off in the comments. What would YOU like to see me make?